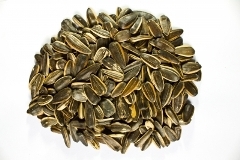 Purchase as seeds with shells or no-mess sunflower hearts with the shells removed (the latter attract more bird species). 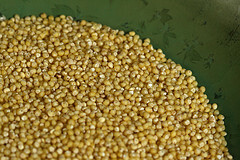 Loved by groundfeeding birds, millet comes in white or red (with most birds preferring white). 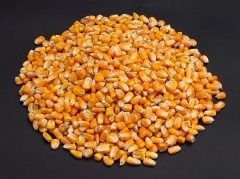 Many birds love corn; ideally, corn should be cracked (broken into smaller pieces) to make it easier to eat. 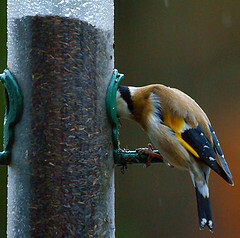 Peanuts, a highly nourishing food, go mouldy easily so special feeders are required to keep them dry, or a small amount can be put out each day rather than leaving a large batch exposed to the elements for several days at a time; peanuts are the favourite of many different birds, particularly woodpeckers. 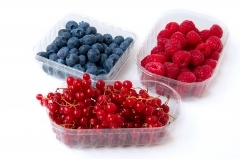 Fruit may include cherries, berries, or chopped pieces of larger fruits (i.e., apples, peaches, etc.). 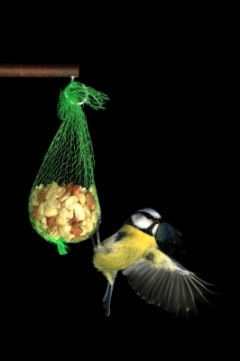 Suet comprises beef fat either on its own or combined with other foods such as seeds, fruit, or nuts; suet provides much-needed fat to guard against lean times. These skinny seeds, imported from Africa, are a little more expensive and require special feeders that prevent seed from falling out; Nyger doesn’t grow well in North America, so spilled seeds aren’t likely to grow like weeds and take over the garden. Safflower seed is disliked by grackles and cowbirds, but loved by many other bird species, so it can be used to discourage unwanted birds from visiting your feeders. Classic Collection of North American Birds. (n.d.). 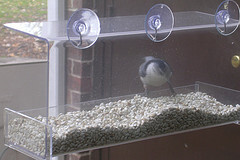 “Birds of North America: Attracting Birds.” Birds-of-North-America.net. Madison Audubon Society. (n.d.). 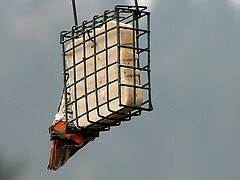 “How to Attract Birds to Your Yard.” MadisonAudubon.org.